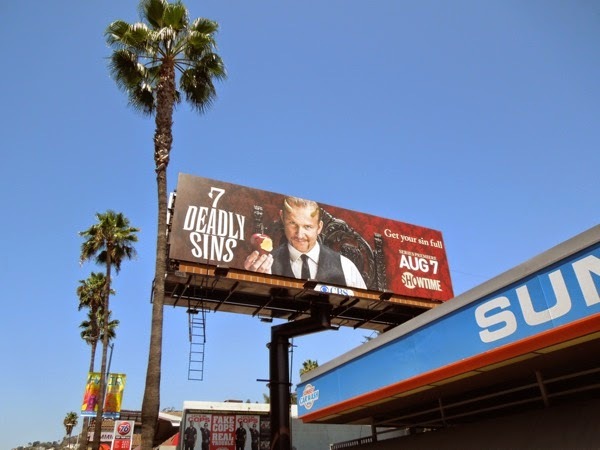 Are you ready to take a bite out of a sinfully delicious new TV series based on humanity's favourite vices? 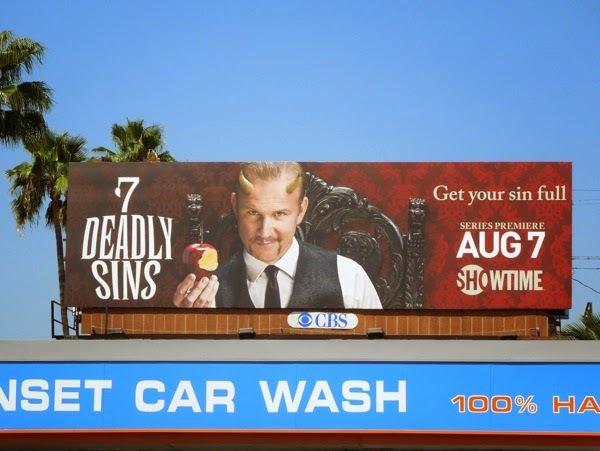 Oscar-nominated documentary filmmaker Morgan Spurlock (2004's Super Size Me) presents a very modern day interpretation of the 7 Deadly Sins: gluttony, lust, greed, sloth, wrath, envy and pride. 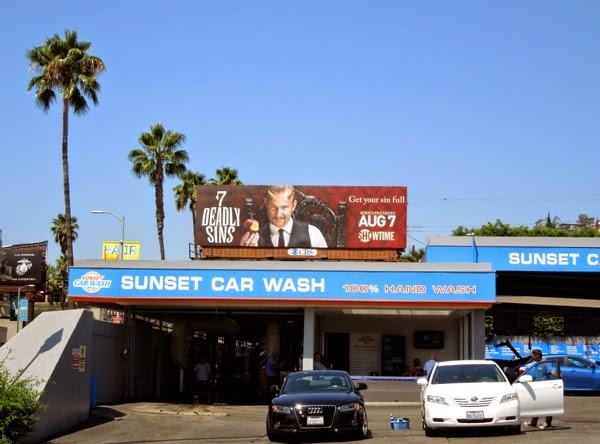 Each outrageous episode will take one of the moral vices and present real-life stories, so extreme and absurd that you apparently won't be able to look away. 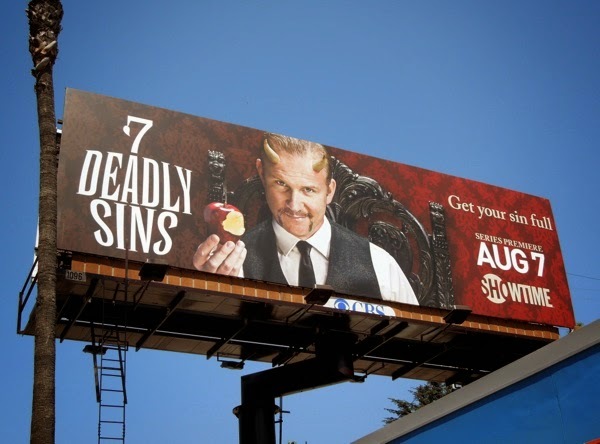 This wicked billboard for 7 Deadly Sins, featuring a horned Morgan Spurlock offering us an apple like 'Eve' in the Garden of Eden (or the 'Evil Queen' and her poisoned apple for 'Snow White', if you prefer fairytales), was snapped westbound along L.A.'s Sunset Boulevard on July 31, 2014. 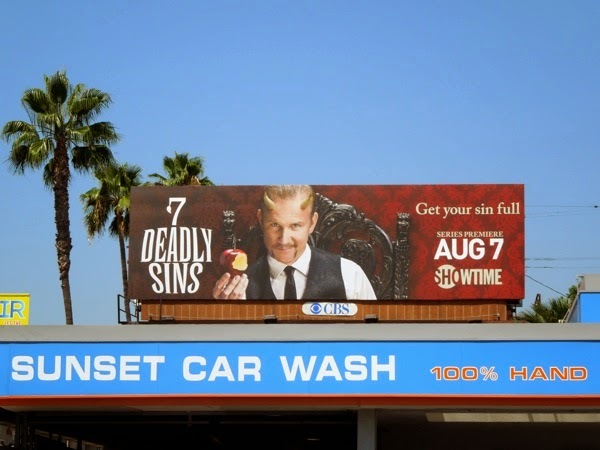 Are you tempted to watch this new Showtime docu-series, or will you stick to having fun committing your own sins in everyday life?